Eclipse Award champion Jaywalk is working toward a 3-year-old debut in the G2 Davona Dale at Gulfstream Park on March 2, according to Horse Racing Nation. D.J. Stable and Chuck Zacney's Breeders' Cup-winning daughter of Cross Traffic is expected to move from that seven-furlong start to the G1 Ashland Stakes at Keeneland, following the same path to the Kentucky Oaks as Zacney's 2016 winner Cathryn Sophia. Jaywalk broke her maiden in her second start, at Parx, then won the listed White Clay Creek Stakes at Delaware Park. The filly captured the G1 Frizette Stakes at Belmont Park before leading the Breeders' Cup Juvenile Fillies field from gate to wire, besting that field by 5 1/2 lengths. 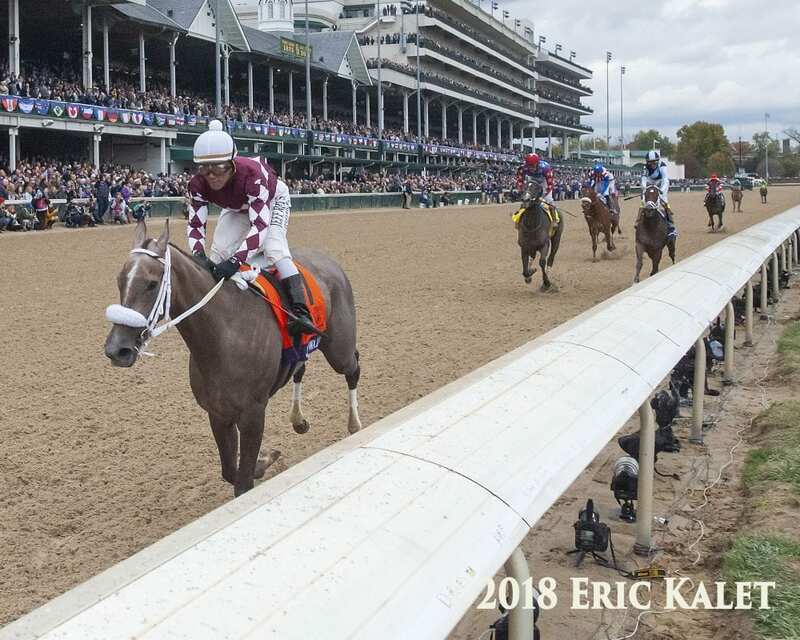 This entry was posted in NL Article, Racing and tagged Ashland Stakes, Breeders' Cup, cathryn sophia, Chuck Zacney, cross traffic, Davona Dale, eclipse award, Frizette, jaywalk, john servis, kentucky oaks by Paulick Report Staff. Bookmark the permalink.